Congratulations to Scott Sheppard and Chad Trujillo for identifying the first known L5 Trojan asteroid of Neptune! This story is not just interesting because it is a first-of-its-kind discovery, but because of the tricky way that the astronomers went about searching for it, and because of the collateral benefits that their search will have for the New Horizons mission. Emily Lakdawalla at Planetary Blog has explained about the discovery of Trojan Asteroid[and yeah, Trojan Asteroid itself too] with animation showing how this excelling discovery was made. The moon is shrinking like a wrinkled apple..!! What? You can’t believe..? Dr. Ian O’Neill of Discovery Space has a stunning article delving much into the topic with high resolution images of moon obtained from LRO. Interesting fact of the day: examining the fossil record suggests that mass extinctions on Earth occur approximately once every 26 million years (Myr). One possible explanation for this is a companion dwarf star to the Sun on a 26 Myr orbit. Emma at We Are All in The Gutter Blog, is seeking out the connections between mass exinction and so called Nemesis, a dwarf star based on a newly published research paper. Steve Nerlich at Cheap Astronomy investigates the likelihood of Robonaut 2 refusing to open the pod bay door after it’s deployed on the ISS. This is the light speed limit, which makes us too shy whenever we plan for a interstellar human mission. We can’t ignore the laws of special relativity, but we can still change the speed of light. Chris Dann of WeirdWarp Blog is elucidating whether it is plausible? Wayne Hall at Kentucky Space is telling that the second Kentucky Space-built plug-and-play micro-G research rack will be turned up on ISS Monday. Jupiter’s moon IO is quite fascinating if you are talking about the possibility of exotic life. Jason Perry of Gish Bar Times, is exposing IO’s true colors based on datas obtained from Galileo. A well researched article! Our universe is very mysterious. Astronomers are constantly looking into the past. No matter where you look out into space you are seeing things as they were minutes, hours or millions of years ago. Even at 186,000 miles per second, it takes eight minutes for light to reach us from the Sun. It takes four and a half years for light to reach us from the next nearest star, and millions or billions of years to reach us from other galaxies. So astronomers spend a great deal of time looking into the past. Mike Somonsen of Simostronomy Blog is focusing over future surveys to solve the mystery of universe. Really, an excellent article..!! The extremely large telescope projects (24-42 meter telescopes and the LSST with several new tech advances, is the entry from Brian Wang of Next Big Future. The Laser Interferometer space antenna -LISA is a gravity wave observatory that would open an entirely new window in the universe. Using ripples in the fabric of space-time caused by the motion of the densest objects in the universe, LISA will detect the mergers of black holes with masses ranging from 10,000 to 10 million solar masses at cosmological distances, and will make a census of compact binary systems throughout the Milky Way. LISA’s measurements of black hole mass and spin will be important for understanding the significance of mergers in the building of galaxies. LISA also is expected to detect signals from stellarmass compact stellar remnants as they orbit and fall into massive black holes. Detection of such objects would provide exquisitely precise tests of Einstein’s theory of gravity. There may also be waves from unanticipated or exotic sources, such as backgrounds produced during the earliest moments of the universe or cusps associated with cosmic strings. Recently Hawking said that we should flee off into space if we want to ensure our survival. Won’t moon be a good choice? Moon has more water than previously thought! Alen VerseFeld of The Urban Astronomer blog has a entry featuring stunning discoveries made by LRO missions. A ceiling full of sky, a beautiful historical ceiling with an astronomical theme by Ian Musgrave and Peta O’Donohue of Astroblogger blog. The rules for The American Institute of Aeronautics and Astronautics’ Design Build Fly (AIAA DBF) contest have been posted on the official website. Daniel Sims of Space Tweep Society Blog has a article providing more information about that contest. If you are interested in contest, please participate in it. Bruce Irving of FlyingSinger blog is talking about Apollo 13 mission. If, at first glance, the preceding account appears fanciful, it is because our thinking has not caught up with the engineering advances of the last few years. . .All the engines are either being developed or are programmed to be developed in the next few years. No new or exotic fuels are required. Indeed, our calculations reflect the sober degree of conservatism that should characterize a preliminary study. We believe that the feasibility has been shown. There remains now the intriguing task of doing the job. David S.F. Portree of BeyondApollo has a excellent article about Rosen and Schwenk’s moon mission. 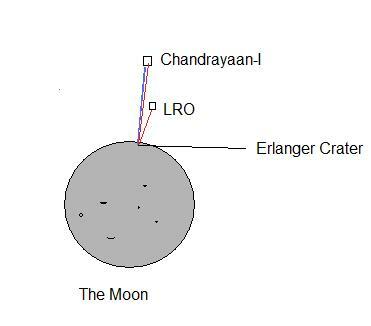 Pradeep Mohandas of Parallel Spirals blog has a article First anniversary of the Chandrayaan-I – LRO Bistatic Experiment today ,explaining more about that. The latest encounter between the Great Red Spot and its lesser rival as pictured by an amateur astronomer in the UK. The spectacle comes just weeks after astronomers reported that one of the giant gaseous planet’s prominent dark belts had disappeared. See the article by Paul Sutherland of SKYMANIA blog. 1. too much energy to mill lower grades of uranium ore. No net energy for low grades. 100 parts per million. 2. critics point out that uranium is an abundant element; there is plenty of it in the earth’s crust and in seawater. But in both cases the energy needed to extract it would be more than could ever be recovered. 3. there is the argument that we could use uranium more efficiently by developing breeder reactors, which would be 100 times as efficient as today’s thermal reactors. But after 50 years of extremely expensive research, they are still not technically feasible. The Rossing mine has a lower Uranium concentration (0.03% vs 0.05% by weight) than Olympic Dam and the discrepancy is even larger in the case of Rossing. Here SLS (Storm Van Leeuwen and Smith) predict Rossing should require 2.6 Giga-Watt-Years of energy for mining and milling. The total consumption of all forms of energy in the country of Namibia is equivalent to 1.5 GigaWatt-Years, much less than the prediction for the mine alone. Furthermore, yearly cost of supplying this energy is over 1 billion dollars, yet the value of the Uranium sold by Rossing was, until recently, less than 100 million dollars per year. Since Rossing reports it’s yearly energy usage to be 0.03 GigaWatt-years, SLS overestimates the energy cost of the Rossing mine by a factor of 80. Japanese plans for Uranium from Seawater would be to place the uranium collection system in the path of ocean currents. Kuroshio current moves 520,000 tons of uranium every year. At a regular meeting of the Atomic Energy Commission (AEC) on June 2, the Japan Atomic Energy Agency (JAEA) and the Central Research Institute of the Electric Power Industry (CRIEPI) reported on technology for collecting uranium from seawater. According to the two organizations, the total amount of uranium contained in seawater – as one of the 77 elements dissolved therein – measures some 4.5 billion tons, about one thousand times more than is known to exist in uranium mines. Even if Japan could collect just 0.2% of the 520,000 tons of uranium transported every year by the Japan (Kuroshio) Current that flows in the Pacific Ocean, it could easily meet its annual need of 8,000 tons. Have a full read to both articles. Emily at Planetary Society Blog has estimated a timeline for Hayabusa’s return. 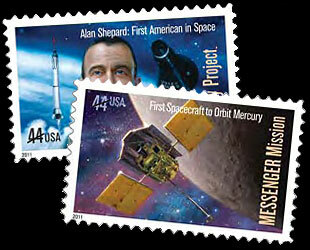 Robert Pearlman at CollectSpace has wonderful article for you with image galleries. Space shuttle Atlantis moves to launch pad for final planned flight. Enjoy Image galleries of Atlantis and astronauts at the pad. Atlantis has left the building, so cool and clear images. Kim at Chandra Blog has presented a demonstration of visuals for bubbles (soap bubble, bubble nebula, galaxy cluster bubbles) across different scales. CC Petersen of The Spacewriter’s Rambling talks about her experience in the past weekend at StarFest, a convention put on each year by StarLand.com. Alice of Alice’s Astroinfo has an entry about cloud chambers. They’re totally cool and make it possible to see cosmic rays! Alen Versfeld of Urban Astronomer is trying to debunk the nonsense, without the snobby superior attitude that skeptics have such a hard time avoiding! I loved these lines from articles. And finally, there is no evidence to suggest that the ancient Mayan’s themselves attached any significance to the end of their calendar. There’s no reason to believe that the Long Count wouldn’t just reset, as makes sense for a cyclical system and as even our own annual calendar does. After all, December 31 is usually followed by January 1, not the end of the world! You can try to hit my entry about Nibiru. What a nonsense! Listen to this podcast talking about the solar cycles from Steve Nerlich of Cheap Astronomy. Brian Wang at Next Big Future presents Vastly Improved direct Imaging of exoplanets via Vector Vortex Coronograph and Launch Concepts Overview. An excellent article about future propulsion technologies. In launch concept overview , he talked about Photonic Laser propulsion. It is more efficient.If they can use the MIT dielectric mirrors those are supposed to reflect 99.999% of the light which would have 100,000 times amplification. Scaling it up for more power. But 10 MW lasers would give 1300 newtons. His second article is all about Future Energy Debate with WeirdSciences continued from Carnival of Space 150 as I’ve alredy introduced you about that. My reply to his article is here. Next Big Future has replied to my third article which can be found here. David Portree from BeyondAppolo is suggesting to reuse skylab. I think reusing giant speedy thing could solve space junk problem to some extent. John Williams at StarryCritters explores the light and dark face of Gum 19 image from the European Southern Observatory. Or does it look like an angelfish? Or an arrowhead? Or a jellyfish? Chris Dann from WeirdWarp has an excellent article about space dust. Paul Gilster of Centauri Dreams is again talking about Dyson Sphere and their signature from type II civilization. Though I think it would be easy to colonize galaxy with ease of self replicating probes. get great sky shots with simple digital cameras? Full article is here. Dr. Bruce Cordell at 21st Century Waves is talking about Obama’s New Space Policy and the Spirit of Apollo. Really an stunning article. 1) The Cold Spot was formed at the last-scattering. 2) The Cold Spot was formed during the photon’s path to us. 3) The Cold Spot is an instrumental artifact. 4) The Cold Spot is a data-reduction artifact. WeirdSciences has article talking about Implications Of Self Replicating Machine at cosmological level. Could we use them to colonize galaxy? As usual WeirdSciences is again talking about space time and its realization. Now WeirdScinces is trying to envision motions of a four dimension entity and exploring what would he see? An excellent article by Rob Bryanton. Stuart Atkinson from AstroPoetry has presented A poetic trubute to SDO and its “First Light” images… and also has an excellent visualization here at the road to endeavour blog. This time Carnival Of Space ends up here. Looking Forward to meet you again. I thanks to Fraser Cain for this week’s carnival of space. Enjoy FOLKS!! Welcome to WeirdSciences and Carnival Of Space #147 . If you have no idea, what a carnival of space is , take a quick guide to carnival of space at UniverseToday. First I would like to introduce WeirdSciences. WeirdSciences is a blog talking on wide range of subjects including astrophysics, latest researches, astrobiology and some cool stuffs like ancient astronauts and aliens. I thanks to Fraser Cain of universe today to let me host carnival of space this week. Lets start carnival of space #147. .
Dr. Ian O’Neill of discovery space is talking on the bright side of asteroids and telling Another Good Reason Not to Shoot Nukes at Asteroids. He discussed many interesting points , so must have a look to the article. Robert Pearlman at collectspace talks about Apollo 13 collisions on moon and new researches. So must have a look to that post. Ryan from The Martian Chronicles have many evidences to his claim Why We Need To Go Back to Mars[Err, a criticism of TED talk]. Chris Dann at WeirdWarp is telling us about Atmospheres of Earth And Other Terrestrial Planets. Really a great post. Nancy Atkinson, A working NASA journalist and senior editor of Universe Today, has reviewed Hubble 3D MAX Movie. Excellent Review..
Brian Wang at Next Big Future is talking about plasma fusion rockets, another cutting age technology. 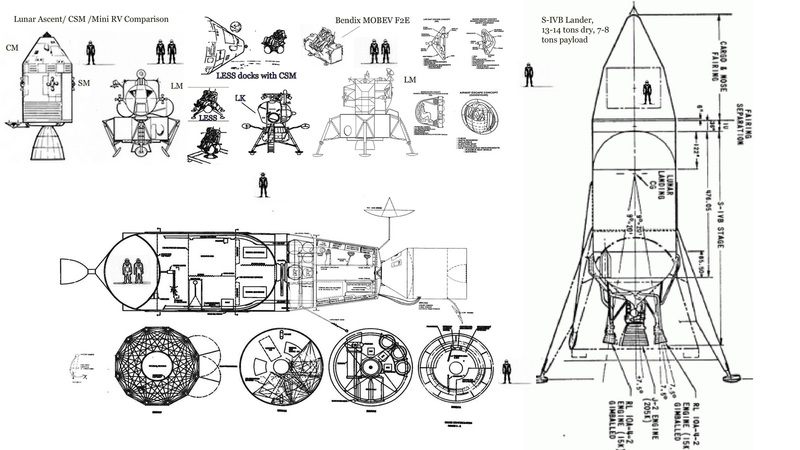 Dense Plasma focus fusion rocket/space plane designs. These designs do not require advanced fusion capabilities and are helped with the faster than expected progress with the energy density of capacitors and batteries that is happening over the last three years and should be having major impact over the next five years. The higher energy density means the capacitor part of the system can be lighter, easier to launch and makes the whole system more feasible. 1000-2000 ISP nuclear fusion /MHD space planes. Nuclear fusion or any larger power source that can be put into space combined with superconductors will enable antimatter production that can be 100,000 to one million times more effient in terms of cost. $50 million systems with 200 KW of power using current (or conservatively within four year technology) could produce several micrograms of antimatter each year. A one gigawatt power system inside of an earth orbiting superconducting traps could produce 95 milligrams of antimatter per year. Antimatter could be used to make super high performance space ships. Adam Crowl at Centauri Dreams has reviewed the possibility of black hole powered spaceships based on Louis Cranes research. Great Post..
Steve Nerlich of CheapAstronomy is telling us What A Dark Matter Could Be? Excellent podcast..
Phil Plait aka TheBadAstromer of popular Bad Astronomy Blog has this for you. I think he is a bit emotional in this post.Enjoy..
A Tour of the Exoplanets in Celestia Using the 3D space visulaization program celestia to tour the night skies as seen form selected exoplanets for you. Alan Boyle of CosmicLOG is telling Hubble hits new heights and also A 3-D scan of hundreds of thousands of galaxies has confirmed the view that the expansion of the universe is speeding up, due to a mysterious factor called dark energy. The galaxy survey, described in a study set to be published by the journal Astronomy and Astrophysics, serves as one more line of evidence for dark energy’s existence. BTW, I liked his artical Fusion’s ups and downs. AstroWanny aka Peter Aartscope Blog has this great article for you. Alun Salt, an archaeastronomer from AlunSalt Blog is Theorising Space Archaeology. Phobos — The Key to the Cosmos? Just Ask Russia and China!
. If you haven’t gotten excited about Phobos recently, you should! Europe’s Mars Express will approach within a mere 3000 km of Phobos a few hundred times during the next two years. Darnell at ColonyWorlds has taken a leap to colonize Mars in his post VASIMR May Be The Only Safe Way To Reach Mars. Really cool, love it. Louise RioFrio, a working NASA scientist at Houston from A Babe In The Universe has this post for you telling that Geologist and Moonwalker Harrison Schmitt (in an Aloha shirt) receives a medal from the American Society of Civil Engineering. The ASCE Earth/Space Conference was attended by engineers and scientists from across the Pacific, energized by ideas of engineering in Space.. Wondering , What is here, on WeirdSciences for this carnival of space.. WeirdSciences has published Dark Matter Could Make Interstellar Travel Possible and Space Time:Continuums And Curvature. Dark Matter: We don’t understand everything.